Find out where you fit in. How does everything work? Glad you asked, because we’ve got you covered. Browse the current openings and see where you think you'd best fit in. Applying from your desktop or mobile device usually takes less than 10 minutes. If an assessment is required, it may take up to one hour. We will review your application. This could take up to two weeks. If your talents fit the role, we'll schedule an interview. Depending on the position, you could hear from us within one week, but no longer than three months. Additional interviews may be required. We'll carefully consider your skills and experience to see if they're a fit for this role. Throughout the process, we may find you're not the right fit for the position. 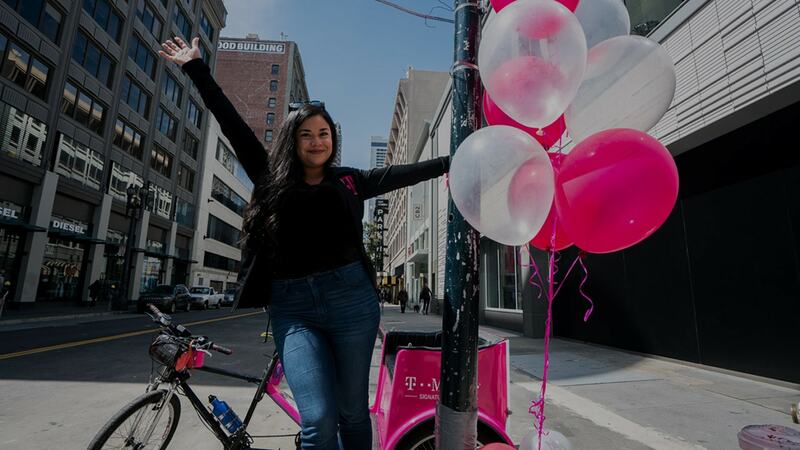 In that event, we'll hold onto your resume, and invite you to apply to other T-Mobile positions. Are you ready to join our team? You say "yes" to the offer, and wait for onboarding information. Tips to nail the interview. Check out this helpful guide and be prepared to knock our socks off.